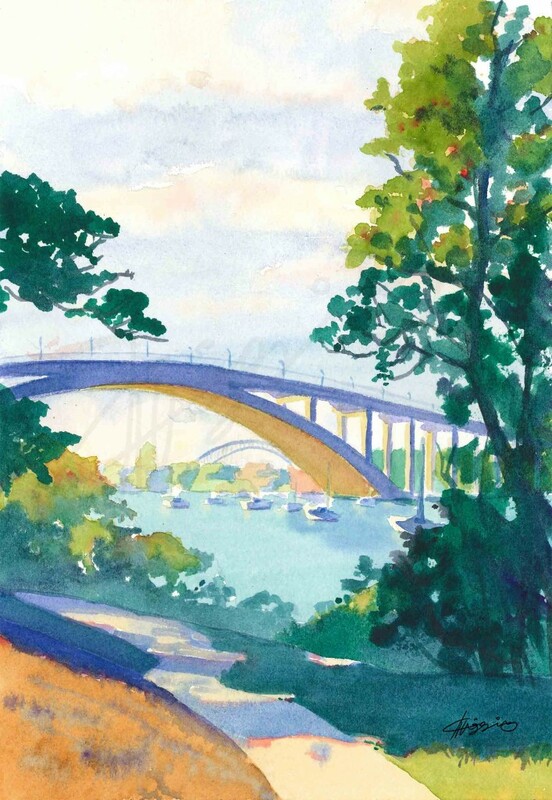 This painting captures a view of the Gladesville Bridge at morning, framed by shaded trees. Off in the distance, underneath the Gladesville Bridge’s arches, we can see a hint of the Sydney Harbour bridge. Painted on acid-free paper with Winsor and Newton paint.